The special thing about cooperative board games is that the use of teamwork is encouraged and the end result is fair to all players that are playing. A team of players work together to accomplish the same goal, and they will win and lose together. 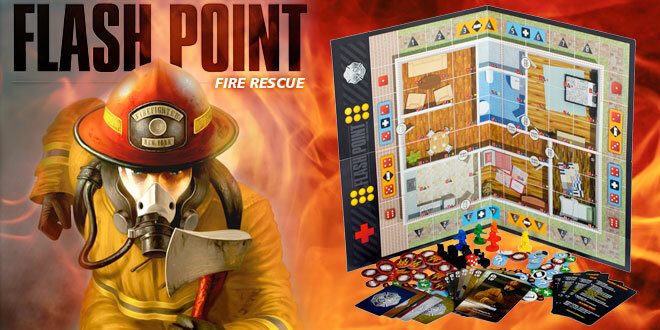 Flash Point: Fire Rescue is a great family game that fills your appetite for such a cooperative game. Flash Point can be played from 2 to 6 players, takes around 45 minutes to play and can be played by players from ages 10 and up. You will take on the role of a firefighter and you will try to rescue 7 victims from a burning building. The theme of a team of firefighters working together to put out a house fire makes so much sense for a cooperative game as it is a theme players can easily relate to. Players will place a certain number of Threat Markers in the house depending on what level of difficulty they want to play on. At all times there will also be 3 Points of Interest (POI) Markers on the board. Hot Spots and Hazmat Tokens can be placed on the board as well. Players will then choose their starting roles and place their firefighter pawns next to the building. The Fire Engine and Ambulance vehicles are placed wherever players want them to be at the start of the game. For any firefighter they have a certain amount of Action Points to spend on doing things. 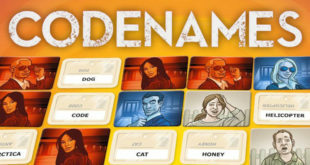 If you are playing the normal Family Game version of Flash Point then each player will have Action Points to start with. In the Experienced Game version, however, the number of Action Points distributed will be more randomized depending on how experienced players are. Action Points can be spent in a variety of ways. You can spend 1 Action Point to move while you will need to spend 2 Action Points when carrying a victim or moving through a developing fire. Staying true to your job as a firefighter, you can also spend either 1 Action Point to extinguish smoke or spend 2 Action Points to put out a fire. Other useful moves to make with Action Points would be to chop holes into walls or to open and close doors. After a player has done all he or she can do on a turn, the player then rolls a 10-sided die and a 6-sided die. Rolling these dice will be critical in determining where you can and cannot go in the burning house as these dice will indicate the coordinates for which rooms you need to place smoke in. Placing too much smoke in one room will develop into a fire, and soon after an explosion. One thing to remember about smoke and fire is that smoke added to smoke amounts to fire, and fire combined with smoke leads to a devastating explosion. 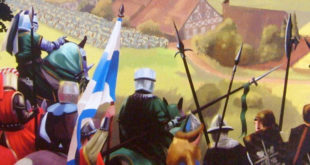 The player will roll the dice again to replace any Point of Interest Markers if necessary. In order for your team of firefighters to win you must rescue all 7 victims and get them out of the burning building before it collapses. If your team is unsuccessful in doing this then you will lose either by losing 4 victims to the fire or if all the Damage Markers have been used and another would be placed, which would make the burning building collapse on everybody. Until you flip these markers over, it is impossible to tell whether or not the Points of Interest Markers will be victims you need to rescue. These markers can just as easily reveal false alarms, or blanks, which will not impact your status either way. It is important for players to note where exactly in the burning building they are because they have to take into account where the doors to the outside are and where the damaged walls are. If a damaged wall takes 2 hits it can be broken up, creating a new exit for the firefighters. With this in mind players really need to watch where they go. There are different roles for players to take on when they play Flash Point. A player can either be a CAFS Firefighter, who is best at moving around and putting out fires, a Rescue Specialist, someone who is able to run around and save people very easily, the Driver, one who operates the Fire Engine, the Hazmat Specialist, one who takes care of the dangerous objects in a house that could explode, or the Paramedic, one who operates the Ambulance vehicle. Flash Point: Fire Rescue turns out to be an exciting cooperative game that keeps all players equally involved. 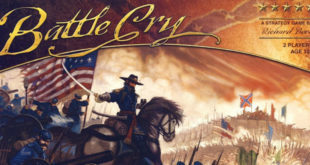 The actions of all players become equally important as play progresses and the firefighting theme plays into the cooperative feeling of the game exceptionally well. If you are up for the challenge of rescuing victims from a burning building and making sure that all of your teammates get out of harms way, then Flash Point is the kind of game that you can play multiple times. 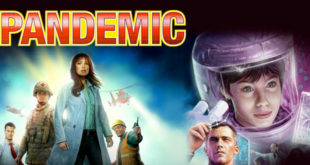 This is a game definitely worthy of being in your main board game collection.